A glance inside a construction worker’s toolbox will reveal an assortment of screwdrivers, wrenches, and hammers in varying configurations to suit a particular job. Yet professional writers continue to use Word, Word and more Word. That’s like a construction worker showing up to work with just an adjustable wrench. There are more effective options available, the right tool for the job, as they say. It’s difficult to ignore Microsoft Word because it’s ubiquitous, and so we professional editors and designers truly hope that you are using Microsoft Word styles. Every single author I’ve trained has been amazed, astounded, and eternally grateful for the time, energy and money saved in document and book formatting. If you read ebooks, you’ve probably noticed that some books are formatted beautifully and others, well… not so. Ditto for print books. The untrained designer – aka a self-publishing author – can make a lot of mistakes, which is why book formatting is a paid trade. But you can get truly beautiful PDF, EPUB and MOBI files on your own to upload for distribution. Smashwords and Amazon Kindle Direct Publishing (KDP) are two important services that require you to upload your book in Microsoft Word format. Smashwords is an ebook aggregator that distributes your ebooks to their store and to the online ebook retailers (plus app stores and libraries). Mark Coker’s free Smashwords Style Guide describes how to use styles and format a Word document properly before uploading it for aggregation. KDP is Amazon’s ebook publishing tool used solely to upload your book for sale in the Amazon Kindle store. Amazon provides clear instructions for creating a correctly-formatted document for KDP on their website. Instead of following all of these complicated instructions, as well-meaning and useful as they are, I recommend using Joel Friedlander’s Book Design Templates instead. When you create an ebook using one these templates it is automagically formatted to the liking of both Smashwords and Amazon KDP. In fact, it’s formatted to the liking of all the major ebook and print book services including the ever-popular Amazon KDP and IngramSpark. The templates ensure that your book looks great on all the various ebook readers, computer screens and mobile devices. A template will help you avoid interior design mistakes. See my post 20 Rookie Interior Design Mistakes to Avoid. I have experimented with Apple Pages, OpenOffice and NeoOffice. They all offer the same set of features you see in Word and they’re compatible, in varying degrees, with Microsoft Word documents. OpenOffice is the open source alternative to Microsoft Word. NeoOffice is the open source version of OpenOffice for the Mac operating system. They’re both free, donation-funded applications, and they export clean code. If you compose your manuscript in any of these applications you can export it to Word to hand off to your editor for redlining. I’ve found that Track Changes converts well in all three programs. Styles also remain consistent when converting among Word and these alternatives. Scrivener is a desktop writing and organization tool with an amazing feature set that can help you develop stories and books. Last year I started using it to organize and write my ideas, blog posts, articles, and books. Scrivener can export (they call it “compile”) your book, or just a segment, into print and ebook formats. You can compile to doc format for Word if you’re handing your book off to an editor who uses Word’s Track Changes or when you’re ready to use Joel’s book design templates. Scrivener also compiles to a selection of other formats like EPUB, HTML and even Markdown, if you’re publishing to a platform like LeanPub, which is one of my favorites. Scrivener is definitely worth the $40 (for Windows) or $45 (for Mac) with a free 30-day trial, and the learning curve. It has “binders” that hold multiple documents, and a bulletin board view, too. I use it to organize my blog post ideas which I keep in one binder instead of in the standard file tree on my computer. In this way, Scrivener functions as a combination of the Evernote idea-saver and reminder software and my word processing software. I still use Adobe InDesign because my older books were designed in it and occasionally I have to make corrections or updates. InDesign is a book design application and the de-facto standard used by professional book designers. It’s expensive and difficult to learn but extremely flexible, giving the designer ultimate control over ebook and print book design. Self-publishers like me had to learn InDesign before all the easy-to-use solutions were developed. InDesign is part of the Adobe Creative Suite, which also includes Photoshop, Illustrator, and other applications pro designers are trained to use. If you have a serious budget for your book and want a real pro to design it for you, make sure the designer is using the latest version of InDesign. Honestly, though, I think you’ll like Blurb’s new BookWright tool to create print books and fixed-layout EPUBs for the tablet computers and in print. Google Docs is Google’s version of the Microsoft Office suite in the cloud. Google Drive is the storage part of the equation. Drive gives you 15MG of storage free, but for an additional $5 a month you get 100GB more to store, sync and share documents, images, videos and other data, which you can access from any of your devices. If you’re not backing up to the cloud – and you should – this is a really good deal. Pressbooks is a publishing tool that produces beautifully-designed ebook files and print-ready PDFs. It’s built on the open source WordPress blogging platform so if you’re blogging on WordPress you already know how to use it. I’ve created several books and booklets with Pressbooks, including my How to Self-Publish title with PBS MediaShift. I like their blog-to-book import feature, which is awesome for creating the first draft of a book from a series of blog posts (as suggested by Nina Amir http://howtoblogabook.com). Pressbooks provides a large selection of beautifully designed interior book templates in CSS (style sheets for web pages). You can export to PDF, EPUB and MOBI for free with a watermark so you can play around with it for free. To remove the watermark costs $25 for ebooks and $100 for ebook and print. If you’re intimidated by Pressbooks start small by using it to create a giveaway booklet for your email newsletter subscribers. Find my interview with Pressbooks on the Author Friendly Podcast. 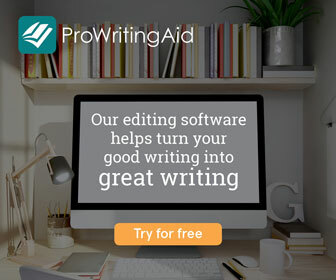 Draft is a writing, editing, collaboration and publishing tool in the cloud. I really like that each contributor’s changes show up in different colors with accept and reject options. You can mark major revisions to your document, you can find and revert to previous versions, you can import docs from Dropbox, Evernote, Box, and Google Drive, and you can publish directly to places like WordPress, Tumblr, LinkedIn and even MailChimp. Nate at Draft has provided a handy Chrome extension that lets you turn any text area on the web into something you can write and edit with Draft. You can email a document to your Draft account using a secret address, you can create a simple presentation, comment-out segments of writing, and there’s a simplify robot that catches common words, duplicate words, and it also attempts to detect and delete unimportant sentences, all with your permission, of course. There are so many more writing, editing and publishing tools you might add to your writer’s toolbox. What have I missed, and what are your favorites? I’d love to hear from you. Just put your thoughts in the Comments below. The Consumers Guide for Self-Publishers reviews these and many other tools, services, and products for your writing and publishing journey.